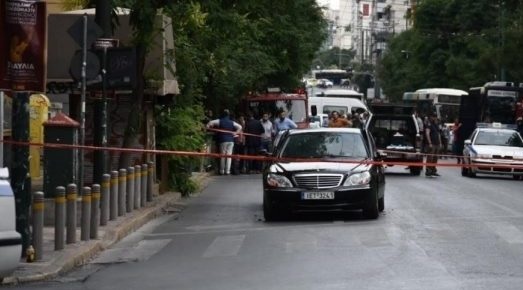 Former Greek Prime Minister Lucas Papademos was injured after a powerful blast of his car. His driver was also injured. According to Greek media, Papademos suffered wounds on his face, abdomen, hands, and legs, but his health condition does't threatens his life. The driver is better over health condition. Both were urgently transferred to the Evangelismos hospital. The explosion occurred while the vehicle was in motion. The car windows, which were inseminated, were also damaged. Mr. Papademos found an envelope in the back of his car and when he opened it, exploded.